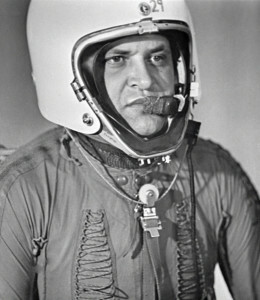 Employed by the CIA as a pilot, Powers was captured on May 1, 1960, when his U-2 spy plane was shot down over the Soviet Union. The resulting “U-2 Affair” exacerbated the Cold War between the U.S. and the USSR, prompting the cancellation of a major summit meeting between President Dwight D. Eisenhower and Soviet premier Nikita Khrushchev. Tried and convicted of espionage, Powers was sentenced to 10 years in prison, but was exchanged in 1962 for Soviet spy Rudolf Abel.